Famous designers tend to give reign to their imagination and create clothes that look interesting and guided by the desire to attract attention. 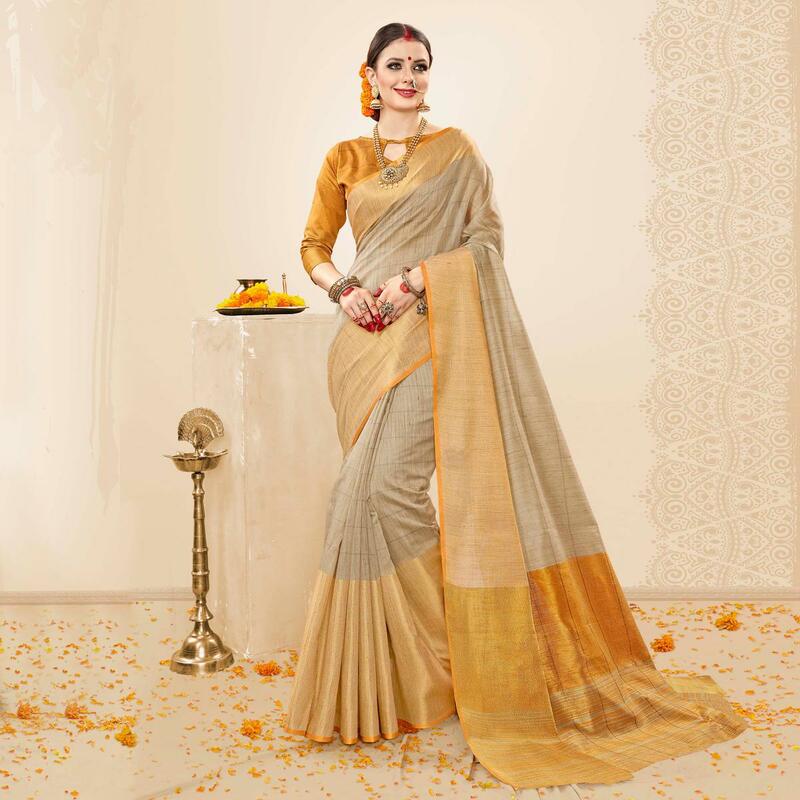 Be the dazzling diva clad in this grey - mustard yellow color festive wear saree. 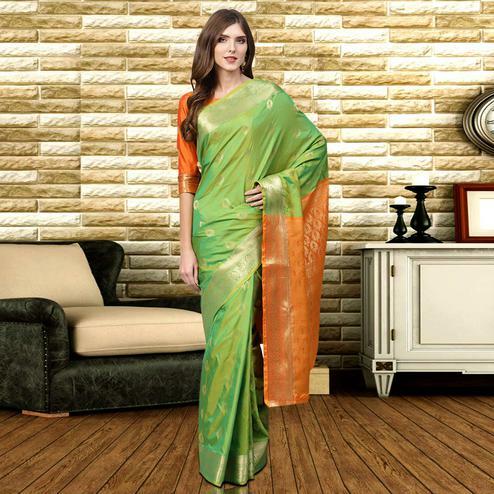 This saree is fabricated on cotton handloom silk with weaving work which gives a rich look to your personality. Comes along with matching unstitched cotton handloom silk fabric blouse, which can be stitched as per your choice & requirement. Specially designed to wear for festivals, functions or occasions. Pair it with classy accessories to make the look more outstanding. 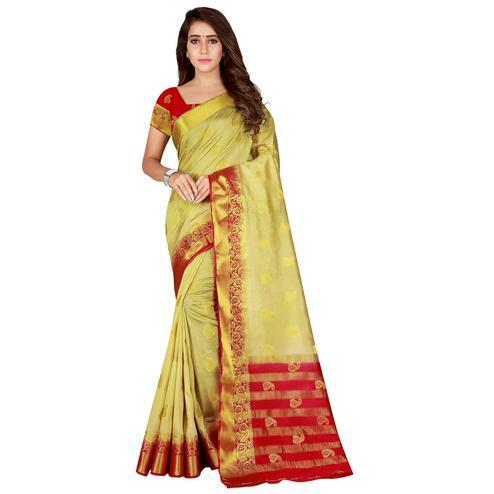 Buy this attractive saree now.